I will admit, most of what I knew about Renoir came from the movie Amelie. It’s a great movie that I would recommend to anyone, certainly, but not the best place to turn if you want to learn more about Renoir. However, I hope to at least show you a little more of his work, if you’re like me and aren’t too familiar. And of course, you could always display this excellent piece in a custom frame if you want to bring any of these piece into your own home. I do want to take a moment to admire the first Renoir I saw. 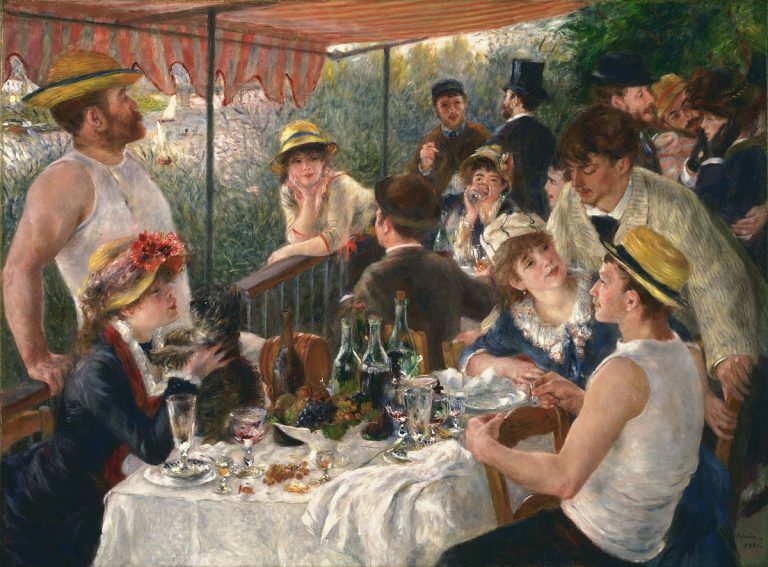 “Luncheon of the Boating Party” isn’t a dramatic piece, but it does have a lot going on. Though relaxing, each of the figures is doing something- drinking, chatting or, in the case of one woman, playing with a dog. Yet the setting is also detailed, from the chairs and tables, to the river just beyond. 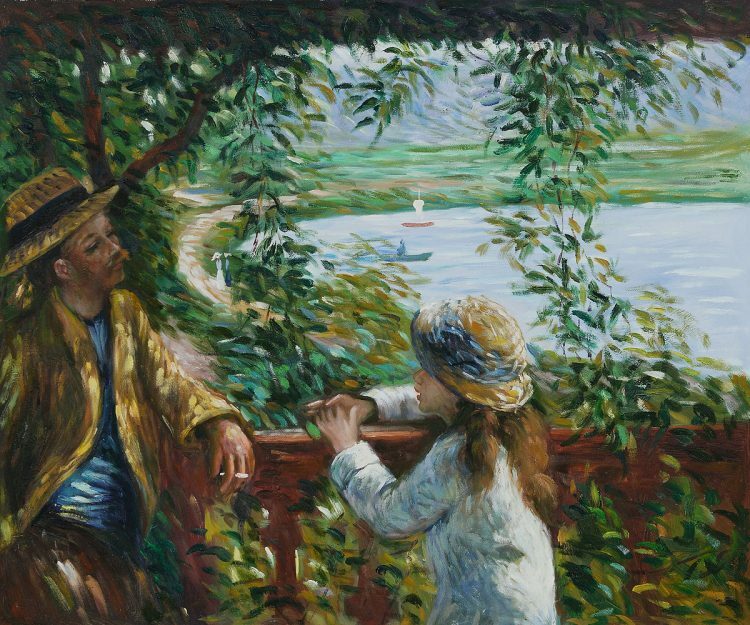 Picking these elements apart, we can see that Renoir has shown both skills in some of his other works. This one here caught my eye. It is called simply “By the Water.” Though a more intimate piece with only two figures, to me it evokes a similar feel. The two figures seem to be both at ease and engaged. The landscape has a more central place, and it is just lovely. Somewhere I’d like to visit for sure. And finally, another lovely piece that shows a breathtaking landscape and an interesting figure. Indeed, you can see that even the figure in the painting can’t resist trying to paint the garden himself! 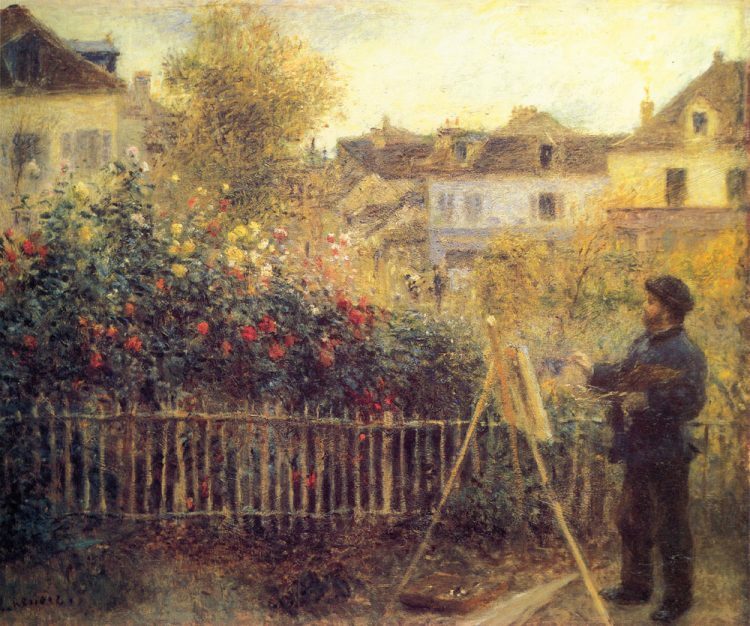 But no wonder, this piece is called “Claude Monet Painting in His Garden at Argenteuil,” for a reason, after all. The garden is much more the central in this piece, with lots of attention paid to the little details. Renoir painted for a long time, these are only a small sampling of his work. And of course, whenever you produce your own works of staggering brilliance and beauty, you can help get them out into the world with our show kits.